The Aurora Community Theatre will provide entertainment and encouragement and promote the advancement of theatre art in all aspects. We shall provide opportunities for the cultural, technical, and educational growth of its members through experience in legitimate theatre. The Aurora Community Theatre was founded by a small group of friends in 1959 who envisioned a cultural exchange with the Aurora community, and an opportunity for individuals to become part of a team to experience the joy of the theatre. Elizabeth and Jack Colebrook led this small group. Their first ACT production was The Tender Trap presented in the Spring of 1960. Until 1971, ACT was without a permanent home and presented plays at The Church In Aurora and the Aurora High School. In 1971, ACT was fortunate to find a permanent home in The Performing Arts Center, an addition to the Aurora Memorial Library. 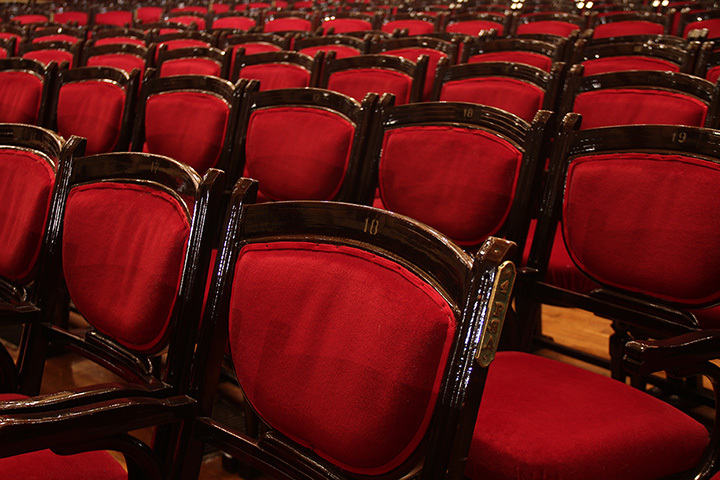 This section was originally designed for lectures and small group performances. Over the years, the complex has been altered extensively to support theatre requirements; backstage, wardrobe and two remote areas have been added. ACT’s first new home production was Ten Nights in a Bar Room performed during the 1971-72 season. The library was donated by its Trustees to the City of Aurora which is responsible for the exterior of the building and Library grounds. ACT is responsible for all expenses, maintenance and improvement of the interior. ACT’s net profits are returned directly into theater improvements. Over the years, ACT has added nearly $200,000 in improvements. The theatre operates under the aegis of the Aurora Memorial Library Trust, holding a contract with the City of Aurora and the Trust. ACT is governed by a constitution and directed by a Board of Trustees consisting of twelve members elected by the general membership. Membership in ACT is voluntary; however, it is encouraged by all who participate in productions. Membership is available at several levels including: Friend, Sponsor, Benefactor, and Life Member.